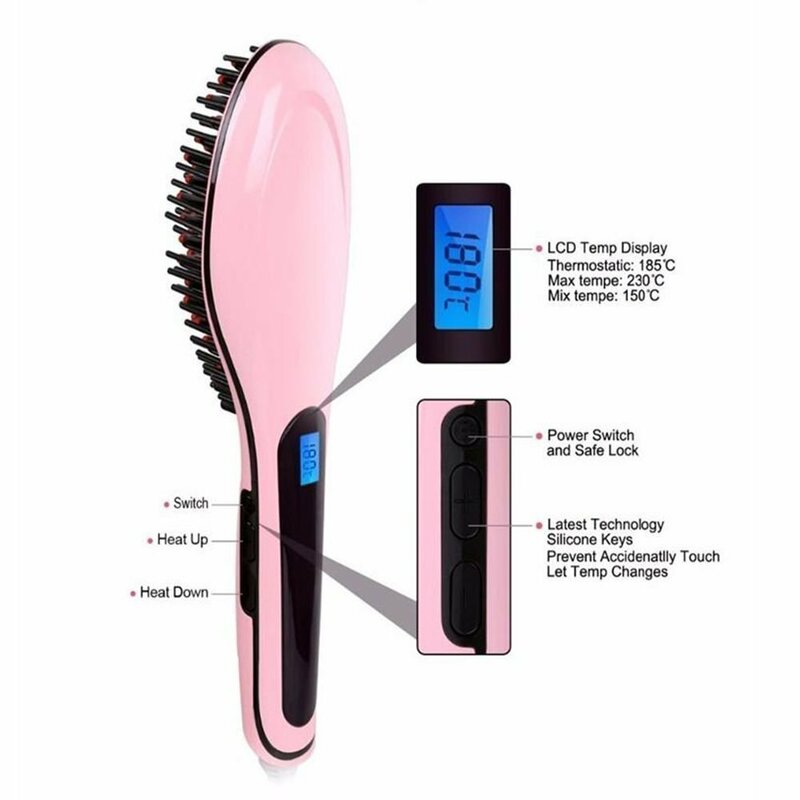 using different Settings of Fast Hair straightener can achive different temperature, Fast Hairr Straightener With eleven elevator button, every touch can change 5 degrees Celsius, we recommend that you begin to choose highest amount, then according to the hair to red temperature the level. 2. More generally, air hanging in the temperature 210-190 degrees. 3. Comparison the fine hair selectable temperature 200-170, and choose low temperature above a perm molding may be slighty slower. Please use the power button to bower on hold for 3 seconds to boot. press 3 seconds off Fast straightener use a different direction, for personal use, with the personal habits. 1. Keep the hair clean and neatly combed please before use. 2. use the plug into the appropriate socket teep electricity well. 6. Please don't put too much hair, i put more, In the control process it will slow speed, the effect is obvious. the down the speed, the effort is obvious. 7 This product is a one-hour auto-off function, if you can reboot. 1. Do not allow children under use the product, please note the following security matters. 2. Do not wet or bathroom the wet water area places.